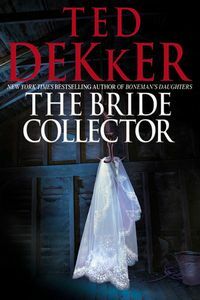 The Bride Collector by Ted Dekker, a Mysterious Review. Review: Denver FBI Special Agent Brad Raines, desperate to catch a serial killer dubbed "The Bride Collector" from the way he dresses and poses his victims, resorts to using unconventional methods to identify the man, in The Bride Collector, a non-series thriller by Ted Dekker. Quinton Gauld is a well-mannered man of exceptional intelligence. He also believes he is an instrument of God, on a mission to deliver the most beautiful women — the chosen ones — as brides to Him. Brad Raines is already on the case after four victims have been found in various locations around the metropolitan Denver area, but is making no progress. "What motivated the Bride Collector? How did he make his selections? What good or evil did he think he was going? What had been done to him to motivate his taking of life in such a manner? Who had he decided to kill next? When would he take her? Where was he now?" In a desperate attempt to learn more about him, he and his team visit The Center for Wellness and Intelligence, a privately run facility that houses brilliant individuals suffering from various forms of mental illness. There he meets several people who may offer insight into the mind of the Bride Collector, something that can be used to stop him before he kills again. It would be easy to dismiss The Bride Collector as yet another serial killer thriller — it is structured and written in a by-the-numbers manner that is as predictable as it is monotonous — if it were not for the characters from The Center for Wellness and Intelligence, who — at least after they are first introduced — offer a glimmer of originality to the book. Unfortunately, other than a few gratuitous scenes, the author fails to make creative use of them. During his initial meeting with them, "Brad couldn't help but think he'd fallen down the rabbit hole and landed in Alice's Wonderland. The [ICW] director's assurance that these were all highly intelligent individuals had twisted his thinking. Hearing this bizarre exchange, anyone on the street might think these four had misplaced their minds." But rather than expand on this potentially intriguing premise — the residents all have unique talents that could serve to help move the case along, Brad clearly well out of his league here — the author instead has (predictably) commitment-challenged Brad (predictably) fall in love with one of the patients who (predictably) becomes a target for the Bride Collector. It's all, well, disappointingly and tediously predictable. Dekker had a chance to do something fairly original, even exciting, here, but in the end, chose a safe, if rather well-worn and tiresome, approach to plotting and writing this book. Acknowledgment: Goldberg McDuffie Communications provided a copy of The Bride Collector for this review.